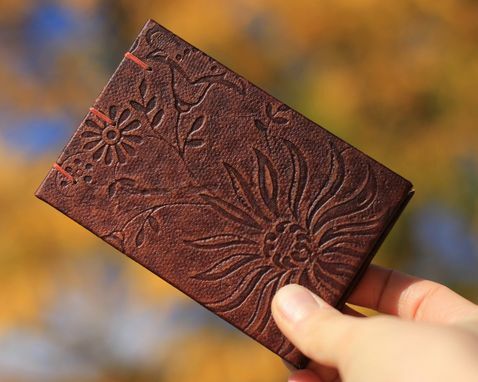 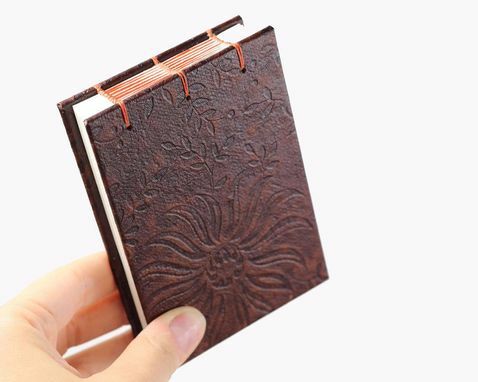 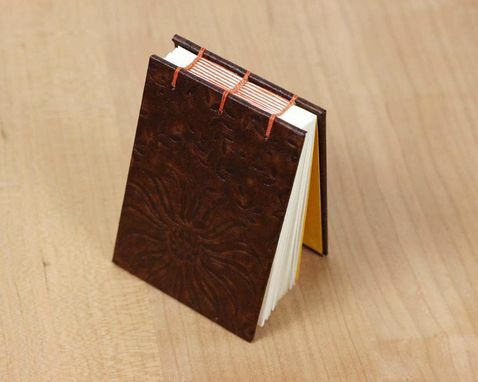 Made-to-order sketchbook journal using brown leatherette card stock featuring a beautiful embossed floral motif. 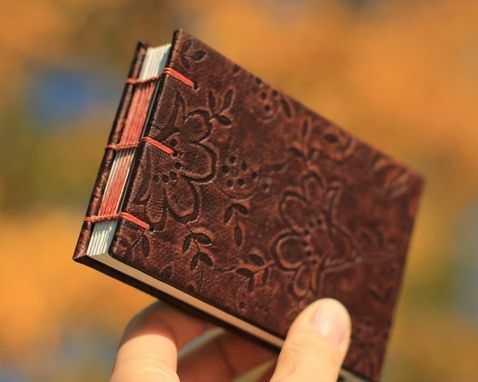 Hand sewn using 100% Irish linen thread in orange. 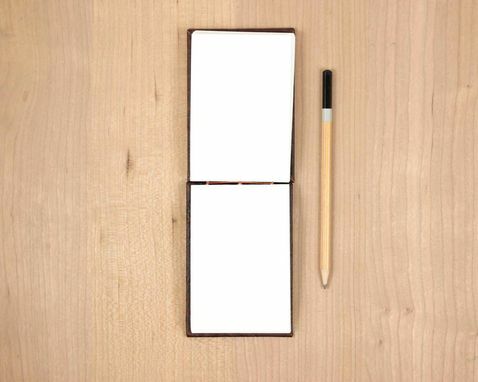 Available in both landscape or portrait orientation.